Congratulations to the Contemporary Art Gallery (CAG) for another successful event. 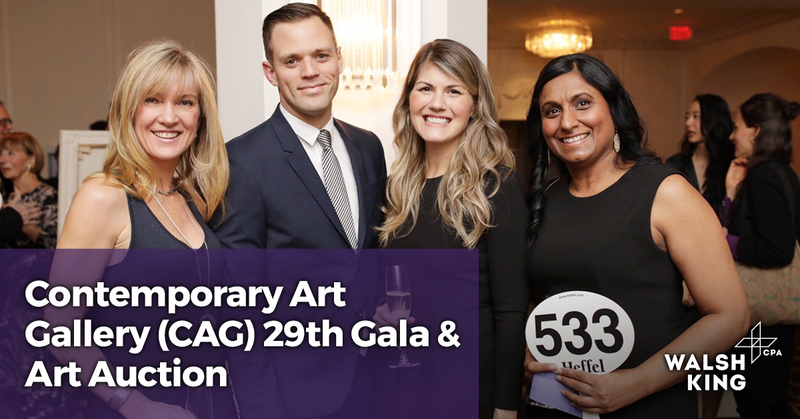 Members of our team spent a magnificent evening attending the CAG gala and auction in support of the arts. Walsh King has been a proud supporter of the CAG since 2006. The CAG is a jewel in our city. If you haven’t had the opportunity, please go see the visual wonders at the corner of Richards and Nelson.